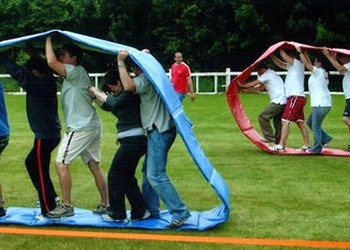 Team building activities are used by any business to promote better teamwork in the workplace. Great teamwork is one of the key factors to company’s success. The idea is to perform various fun and challenging activities that help build teamwork skills and also help improve employee performance and productivity at the office. And activities that focus on building trust.